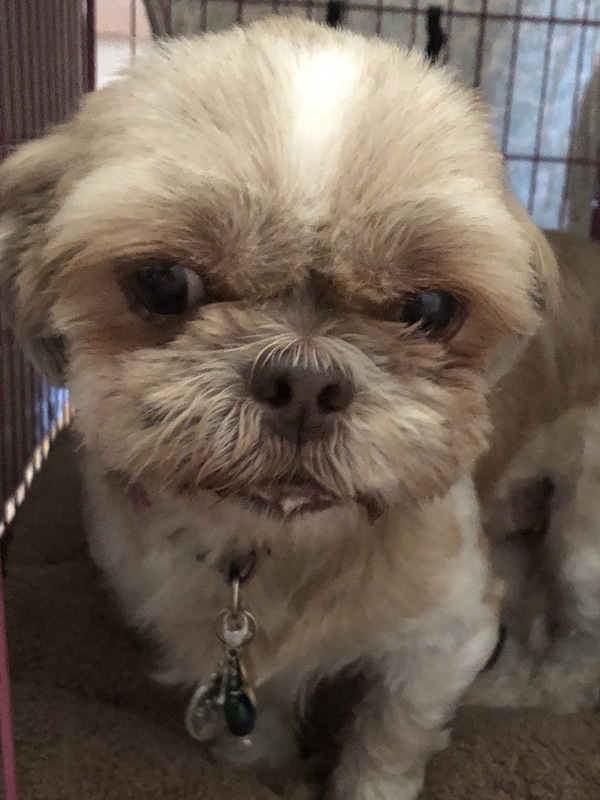 Minnie is a darling shih tzu-mix who finds herself in rescue when her dad lost his home and shelter life was not for either one. Minnie loves being outside in her fenced yard. She’s an avid explorer. She also enjoys hanging with her foster mother and follows her from room to room. Minnie likes having a dog bed to snuggle in so she can be close by without actually curling up on a lap! Minnie was just spayed and had a dental. She would do best in an adult home with another dog to keep her company. She will need a securely fenced in yard as she bolts out the door the second it opens! If you are interested in Minnie, please visit our website and complete our online application. Her adoption donation is $350. Note: Minnie is being fostered in the Albany, NY area. Interested applicants will need to drive 1/2 hour from Albany to meet her once a home visit has been done.